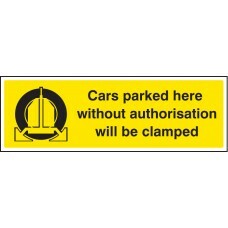 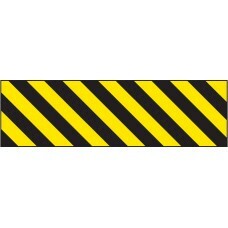 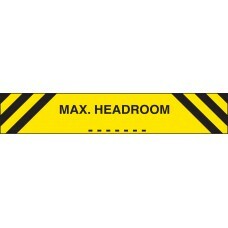 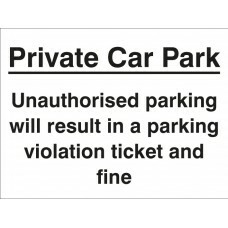 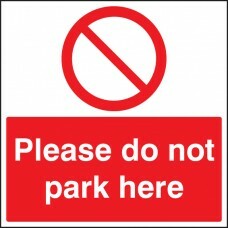 A range of car park security signs for displaying in car park zones. 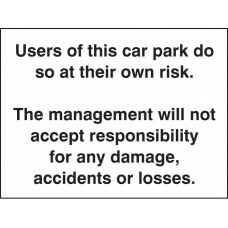 Car park Vehicles are left in the car park at the owner's risk ? 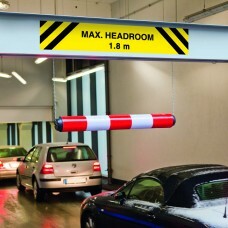 These industrial strength pockets are perfect for storing Good to Go Safety check books and equipment manuals, with a press seal fastening to keep those important inspection checklists / documents cle.. 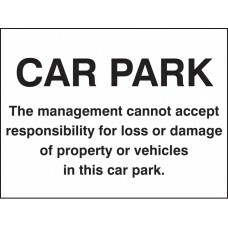 Surface water in car parks is a very familiar sight. 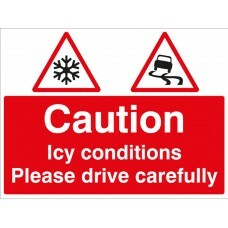 During cold weather that surface water can cause icy conditions. 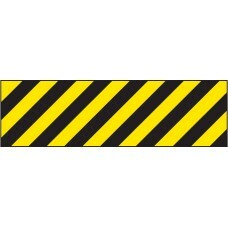 Remind drivers to be more cautious during times of cold weather with this Caution ..
Traffic sign design to Chapter 8, DfT and TSRGD guidelinesClass R2 is a high intensity prismatic material designed to retain a high reflectivity level for a minimum of 12 years and are CE-marked for u..
0.9mm aluminium with engineering grade reflective finish suitable for both indoor and external applications due to its excellent weathering and UV resistance. 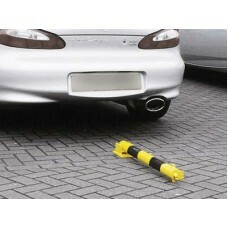 This long-life product advises drivers of..
Stop unwanted cars parking in residential areas by highlighting the use of a specific car park whilst highlighting the consequences of ignoring the sign. 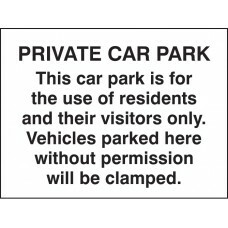 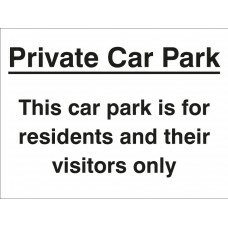 Material Options Explained Below is a more d..
Stop unwanted cars parking in residential areas by highlighting the use of a specific car park with this private car park sign. 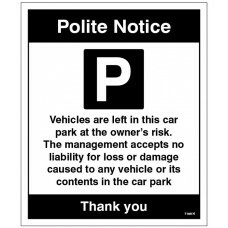 Material Options Explained Below is a more detailed description of the..